Every once in while, I come across a quote that brings a smile to my face because it reflects a lesson I learned a long time ago. 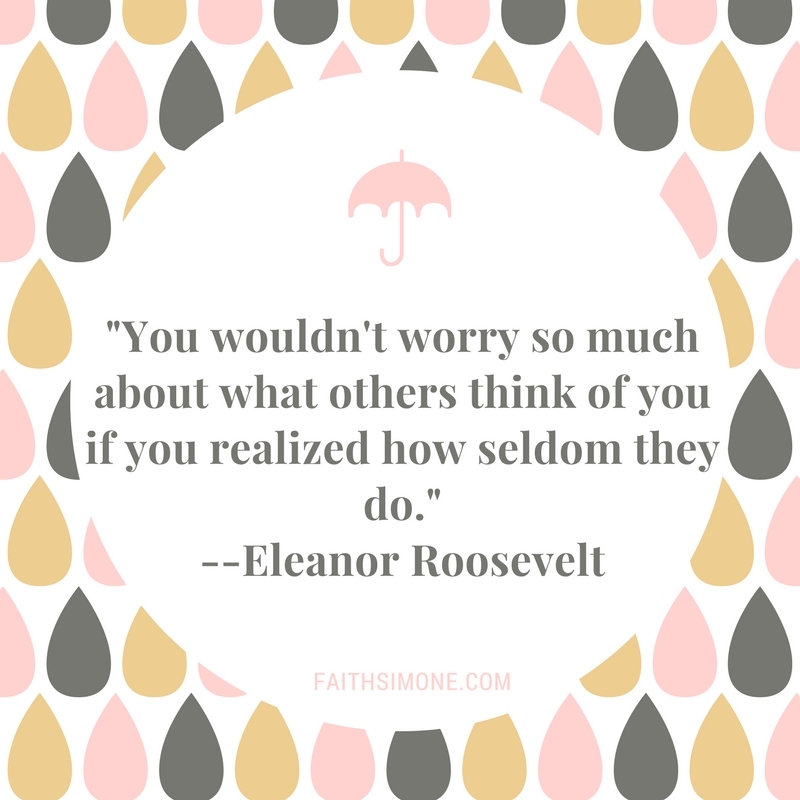 I used to be the type of person who was absolutely consumed with worrying about what other people thought of me. It started in my teens, as is the norm for most people, but continued well into my twenties. More than simple concern about a good reputation, it became a hard knot of anxiety that I carried with me everywhere. I finally got over it by the time I was thirty, but still struggled with wanting to please my family. There’s nothing wrong with that, and in fact, I still put a lot of weight in the opinions of my loved ones. But now, I balance it with making sure that I’m true to myself. Whew! That was a long introduction for a short quote. Y’all know how I do; once I get going, it’s hard for me a cut it off. Anyway, I hope this quote speaks to you as much as is speaks to me. Lady Roosevelt was a wise woman. Remember, what other people think of you is really none of your business.